The past week, weekend and early part of this week has included a good deal of activity. 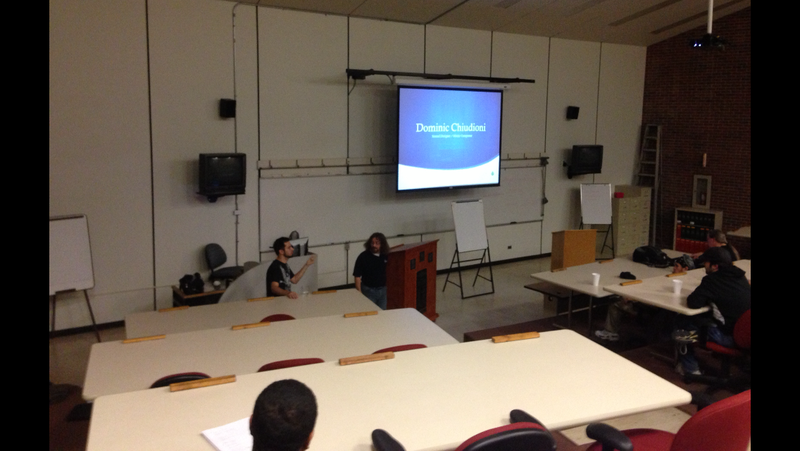 I co-presented on audio production with sound designer, Dominic Chiudioni from Pixo Factor. We spoke to a group of IGDA folks at Eastern Michigan University. Many thanks to Eric Jean Cordier for inviting us. I also composed music for the 10th year with Superhouse Pictures. This was for the 2013 National Film Challenge. 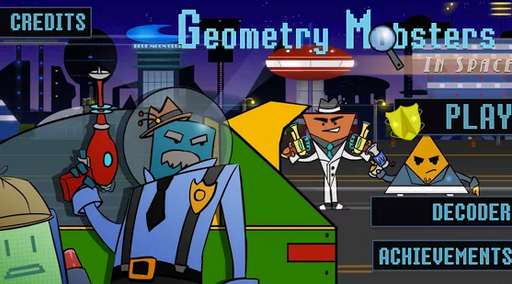 Also, the android version of video game, Geometry Mobsters just came out. I’m pretty excited to see and hear how it came out. So, I’m just about recovered from the weekend of movie production. I learned more things are also realized there are many more things to learn. 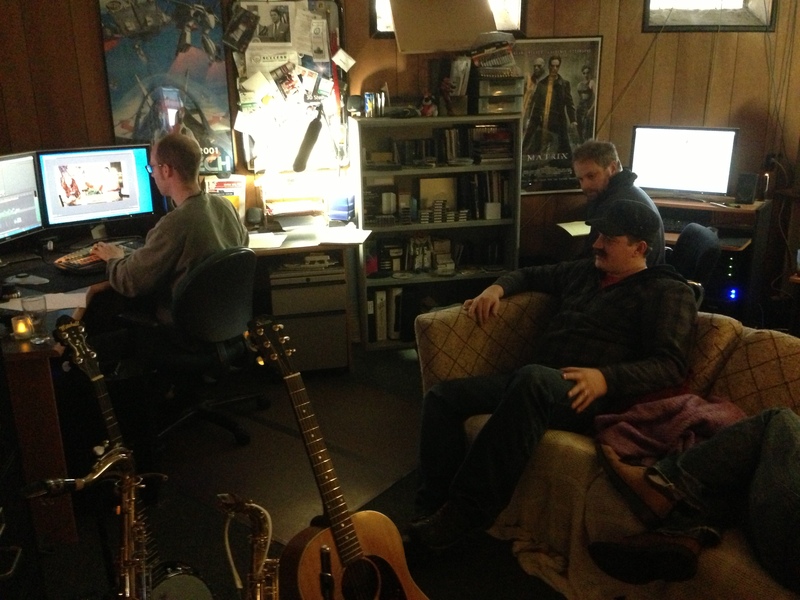 Oh, also, one of my students, Chris Strobbe came out to help in audio production. He was a great asset as I getting more prone to issues based on lack of sleep. 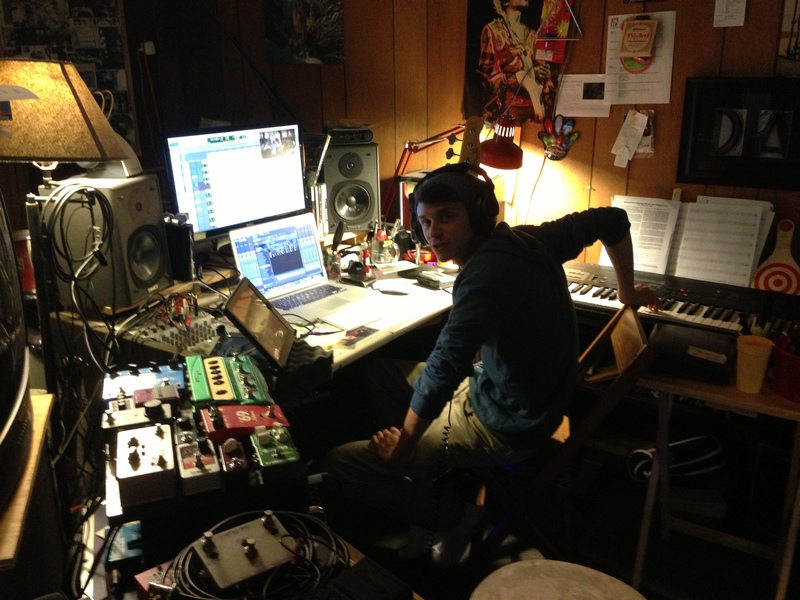 It’s nice to have a second set of ears when making tone and arrangement decisions. Below is a hodge podge of pics from the last week. 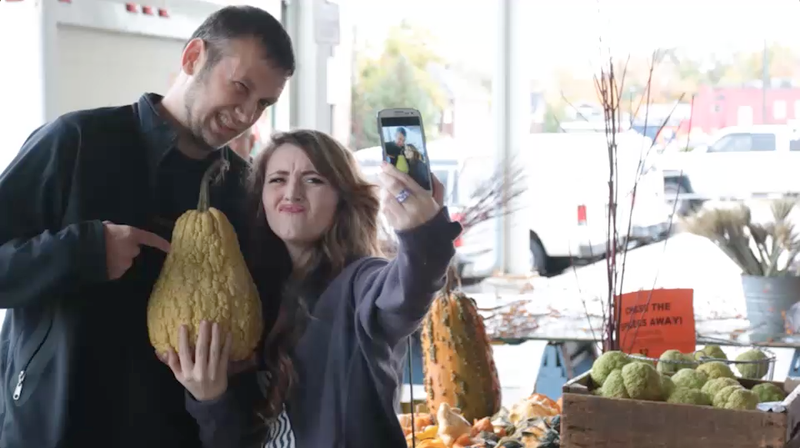 Screen shots from the movie, Selfies Choice. She is starting to turn into a zombie. Chris trying his hand at some Pro Tools work. Geometry Mobsters video game main screen. EMU/IGDA presentation with Dominic Chiudioni of Pixo Factor.